This was fun! 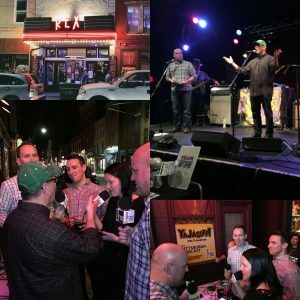 Despite what you hear on the podcast, we DID NOT really get kicked out of the Rex Theater. 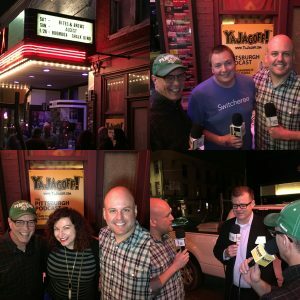 It turned out to be perfect weather and perfect atmosphere to record this episode while standing outside on Carson Street in front of The Rex Theater. 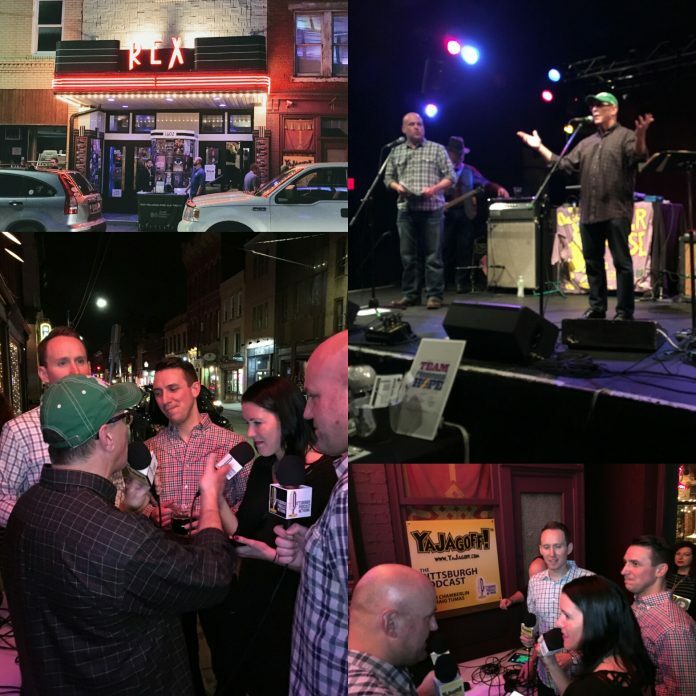 We learned about Pulmonary Hypertension, what Team PHenomenal Hope is doing to raise money for it, we talked local breweries (since this was a beer event) and ya gotta hear about the SWITCHEROO!! Oh… and a dog pooped right next to our podcast table! If you don’t see the player bar above, click the one below to listen. 00:58 We had a great time the Team PHenomenal! The middle of January, and we stood outside with t-shirts on!! THANKS TO OUR SPONSOR: Butterjoint is Legume’s full service bar. Western PA beef burgers ground daily, homemade pierogies and sausage, cheeses, lots of pickles, desserts and a soup and salad of the day. Butterjoint strives to source the best products we can find from purveyors, brewers, wine makers and distillers that we trust and serve them in a simple, honest and approachable way. 02:25 Kevin Yeargers and Joe Hoover from Northwestern Mutual, the major sponsors of the event. Amanda Budzowski Gabarda, Manager of On-site Health Coaching for UPMC Health Plan, is one of the key members of Team Phenomenal Hope. She explains why she’s involved and more about the Pulmonary Hypertension. 08:55 Rachel Carlson, Community Manager of Yelp Pittsburgh tries to help make sense of the increasing number of craft breweries in Pittsburgh. 19:30 Mike Neilson of Switcheroo a Pittsburgh invention, that connects your light switches but does not require a clunky app to turn them on and off. Gotta see this! There’s a Kickstarter for it right now. 35:55 Chris Field, Executive Director of Team PHenomenal Hope.. how to donate, how to get involved! THANKS TO OUR SPONSOR: Butterjoint is Legume’s full service bar. Western PA beef burgers ground daily, homemade pierogies and sausage, cheeses, lots of pickles, desserts and a soup and salad of the day. * No Longer available ON SoundCloud or IN the Pittsburgh Podcast Network Channel Feed. YaJagoff! Podcast Exclusively Managed by Talent Network, inc. and Produced by Pittsburgh Podcast Network.